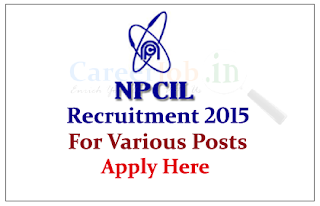 Nuclear Power Corporation of India Limited is Hiring for various posts for the year of 2015. 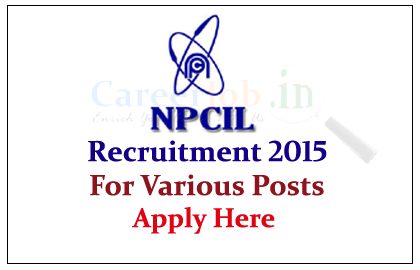 Interested Eligible candidate can apply here on or before 23rd May 2015. Eligible candidates can send filled application to the below postal address on or before 23/05/2015,for more details check Official notifications.